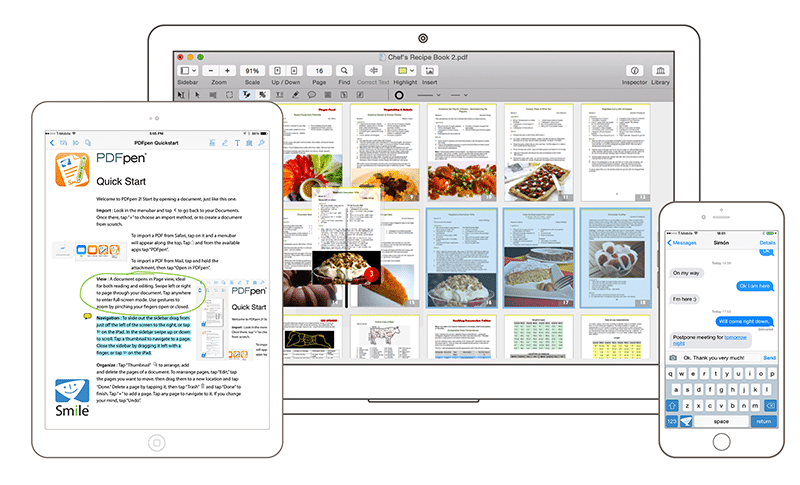 Powerful PDF editing tools, available for Mac, iPad, and iPhone. Whether you’re on the road or at your desk, whether you need advanced editing features or just need to sign and email back a contract, the PDFpen family of tools has you covered. PDFpen for iPad & iPhone is your mobile all-purpose editor. Sign forms on the go, scribble and highlight without wrist smudges, and sync documents with your Mac. PDFpen Scan+ is your mobile scanner on iPad & iPhone. Auto-scan receipts and documents. OCR scans securely on device. Auto-export to cloud storage or view scans in PDFpen.